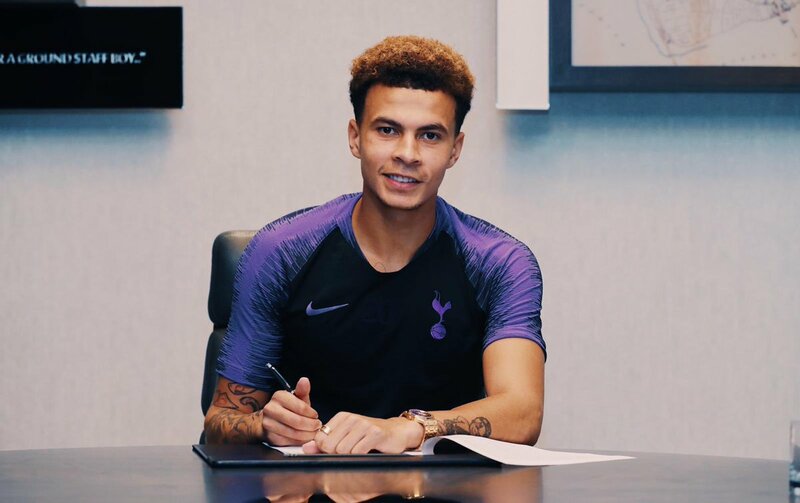 Tottenham have secured the services of star Dele Alli till 2024 as the Englishman signed a new deal with the club. Alli is one of the best players we have and has followed in the footsteps of Harry Kane, who also extended his stay at Spurs earlier this year (h/t Telegraph). The Englishman’s season has been hampered by injuries, however, he did play 16 minutes in our 1-0 loss to Manchester City. Alli hasn’t hit top form this season with just a couple of goals for Spurs in all competitions. The 22-year-old hasn’t even featured in our Champions League campaign. However, we will need him to be at his best if we are to qualify from our group. There is a slight chance we could see him in the Carabao Cup game against West Ham. Alli has to regain his fitness, and this tie would be the perfect opportunity to get some much needed minutes. Although the player is slowly coming back into the team, this news was celebrated by several Tottenham fans. So pleased to see you commit your long-term future to the club. Always maintain you are never given anywhere near enough credit for the work you do off the ball aswell when you are on it. You are such a special player who always steps up in the big games and makes a difference. We’ve loved your time at the Club so far too Dele and it’s only going to get better. So so thrilled you’ve signed. Great news! We’ve missed you massively while you’ve neen injured. Looked sharp when you came on last night against City!